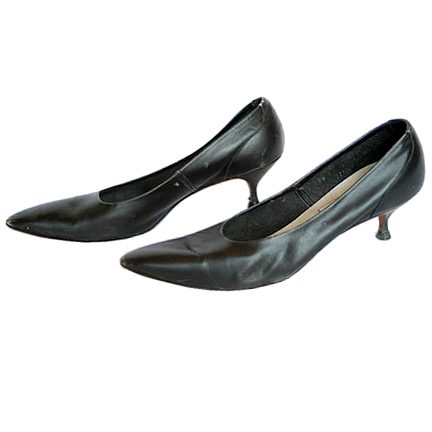 These shoes were worn by the character "Elly May Clampett" portrayed by actress Donna Douglas in the television series “The Beverly Hillbillies”. Donna Douglas appeared on the series from 1962-1971. 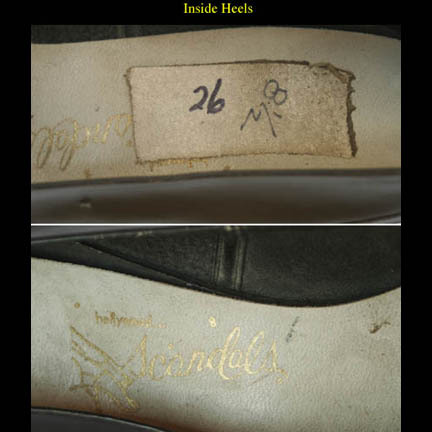 The shoes were made by Scaradal’s and are a black leather pump size 8 1/2. 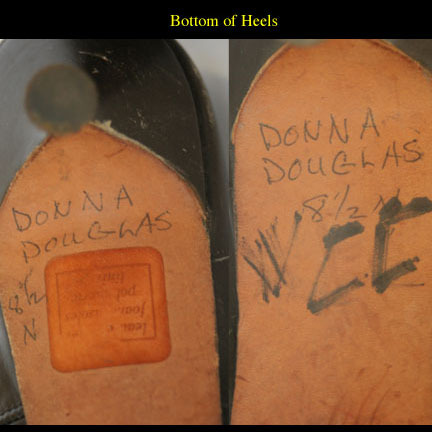 The name "Donna Douglas" has been hand written in pencil on the bottom of the shoes. Accompanied by a letter of authenticity from the motion picture costume house.